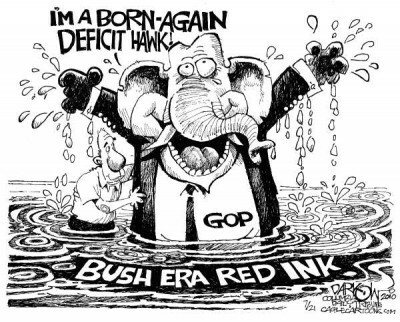 Its not that Republicans arent hypocrites – its more the label just isnt an effective dig. First, hypocrite is a fancy foreign Greek word like amnesty, ethics or Europe how is that going to appeal to Republicans? Second, espousing virtues you dont personally have to live up to is basically the point of being a Republican. Talker Rush Limbaugh, speaker for Republicans everywhere, famously railed against drug users and called for harsher sentencing for possession when it was fashionable in the 90s. Then in 2006 Limbaugh was arrested and went to rehab after losing his hearing as a direct result of his long-term drug addiction. Needless to say, hes cool with hypocrisy. He even thinks hypocrisy is a good thing. During South Carolina Governor Mark Sanfords Appalachian Trail love affair last year, Limbaugh defended the Republican politician, telling his audience, Hypocrisy shows that there are moral values in a culture. Without moral values in a culture it would not be possible for anyone to be a hypocrite. Yes, according to self-proclaimed personal responsibility advocate Rush Limbaugh, personal choice doesnt make you a hypocrite society does. Calling a conservative hypocrite is like calling a progressive liberal: It stings, but they dont actually understand why its supposed to be offensive. The GOP doesnt see self-contradiction as a moral shortcoming. They see people who dont agree with them as a moral shortcoming.